Bring home the charm of the heartland with this black picture frame. Handmade by our Artisans from reclaimed barnwood, it has a flat, squared profile with distinctive weathering and knotholes. Upcycled and eco-friendly, this wide wood frame features a range of black tones from matte to glossy. The sides are fresh-sawn, revealing wood grain for added charm. A unique presentation for your new artwork, as a photo frame, chalk/whiteboard frame or for your kid’s latest drawing. Customize your size to 1/8 of an inch! Hello Mary Beth! Thank you for being a loyal customer. We really appreciate your honest feedback. The image on the website is the closest depiction of the actual frame that we can provide. As you mentioned, samples are a great idea. 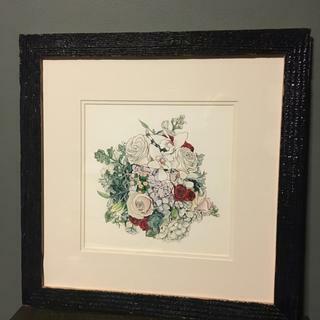 We regret that the frame was not exactly what you were hoping for, however, it seemed to be a success with your client. We are very pleased to hear that! May we suggest taking a look at our Chalk Woods collection? Specifically the CB4 Frame? The frame having a burnt appearance is a very unique characteristic. We have rustic, weathered and reclaimed frames that have the look you are aiming for. Please let me know if we can be of any assistance when you are searching for such unique moulding. Happy Framing! It looks shiny and cheap and it wasn't cheap! I bought it for a gift, so it was too much work to have the person I sent it to return it. I was very disappointed it didn't match the pictures advertised. Hello Carol. Thank you for your honest feedback. We apologize that the frame was not what you expected. We regret this was sent as a gift that you were not thrilled about. Please keep in mind you can return the frame for a full refund. We are happy to provide you with a UPS return label and have UPS come pick up the package. If that is not an easy task for you, please allow us to offer you a discount on your next order. Please let us know how we can make this right with you. We look forward to hearing back from you. Thanks again for your feedback. I should have read reviews on this frame first! Upon receiving it my husband removed the points as per the instruction stuck on the acrylic glazing. After putting mats and watercolor together and foamcore we realized the frame had no groove for the retainer clips. I contacted the customer service dept. and we are working to resolve the issue. I am hoping for replacement with another regular style frame. No where when ordering did I see a warning that this frame went together differently and to use the points to assemble. Hi Kathryn, thank you for your review. We regret to hear that you have had this experience and have taken your feedback to our team so that we can implement a new process for this. We are glad to hear our care team is working alongside you to make things right. If there is anything else we can do to assist you, please let us know. We appreciate your business and hope to serve you better in the future! Like previous reviewer I was not happy with frame. 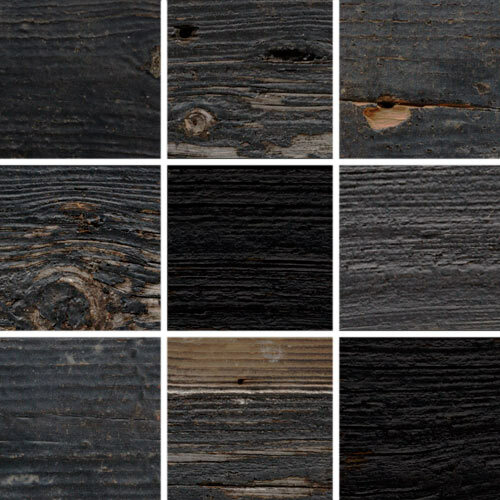 It looked more like unfinished wood that had been painted glossy black. One side was painted so thick it looked like a tar coating. Nothing like photo in catalog or on-line (granted some variation to be expected). Customer Care response was very good and prompt - I ended up returning, but will continue to do business with pictureframes. Quality of work was good and frame was well packaged. Hello Paul! Thank you so much for your review. We apologize that you were not pleased with the finish of the frame. These frames are upcycled from real 100 year old barns that we see as historic beauty. We try to capture the absolute best image of the frame to give you a true idea of the appearance. 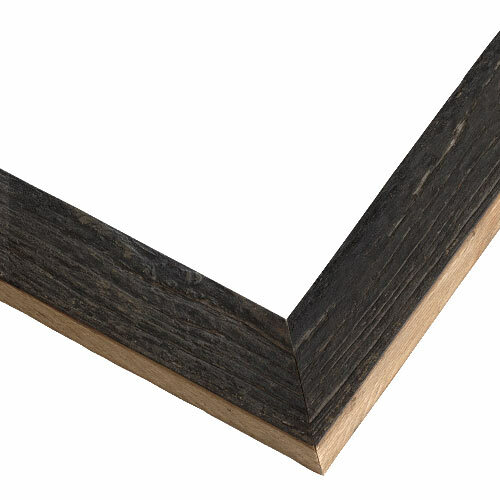 Our free 3" samples are available if you are ever need to see the frame before you order. We understand this style does not suit you and as you know we are always happy to make it right with you. Thank you for allowing us to continue to provide you with your framing needs. Please let us know if you need anything! Happy Framing! I wanted authentic reclaimed weathered wood for this project. adds to the character of the artwork really well!